Many home warranties offer coverage for Sellers during the listing period, and Buyers for one year after closing. 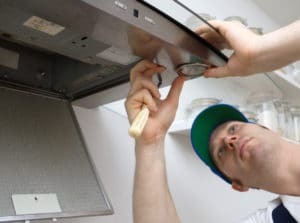 A home warranty (also known as a residential service contract or a home protection plan) is an annual service agreement that covers repair or replacement of certain appliances and system components that break down due to normal wear and tear. Understand the value and limitations of coverage, and you’ll be a happy homeowner. Home Warranties for Buyers & Sellers. Not all repairs are covered. Check the details of your coverage based on the provider and the plan you choose. It’s a good idea to get a home warranty when you buy a pre-owned home, especially if you’re a first-time home buyer with little experience in maintaining a home. As a seller, you should evaluate your options for coverage during the listing period. If you sign up for a home service contract at the time you list your home for sale, it may cover certain repairs going forward. With a home warranty, you always have to pay a service fee for each service call, but you don’t have to pay the full cost of repairing or replacing items that are covered. There are exclusions and limits to policy coverage, and all providers are NOT the same. You’re in Texas. Air conditioning is a giant repair issue, and probably the least understood area of coverage. Before you pick a provider, be sure you understand how they handle pre-existing conditions, items found during a general home inspection and what they DO NOT COVER, especially during the first 90 days. Don’t take a short-cut in making a decision about your provider. Do your homework! 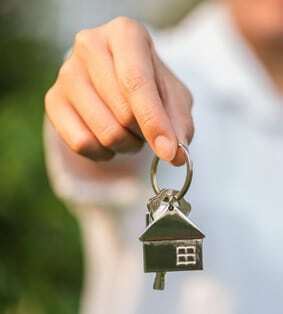 There is a provision in the Texas One to Four Family Residential Contract (Resale) that addresses the policy. This provides a platform to negotiate the payment of the policy, which must be prepaid for a year in advance. 7.H. RESIDENTIAL SERVICE CONTRACTS: Buyer may purchase a residential service contract from a residential service company licensed by TREC. If Buyer purchases a residential service contract, Seller shall reimburse Buyer at closing for the cost of the residential service contract in an amount not exceeding $___________ Buyer should review any residential service contract for the scope of coverage, exclusions, and limitations. The purchase of a residential service contract is optional. Similar coverage may be purchased from various companies authorized to do business in Texas. The service contracts can normally be renewed by the homeowner in future years at a slightly higher cost. Buying, selling or both, talk to your real estate professional and the warranty company about the value, cost, and coverage. Do your due diligence – this is your decision. This is a partial list of providers, in no particular order, and is not intended to serve as recommendations of any company.